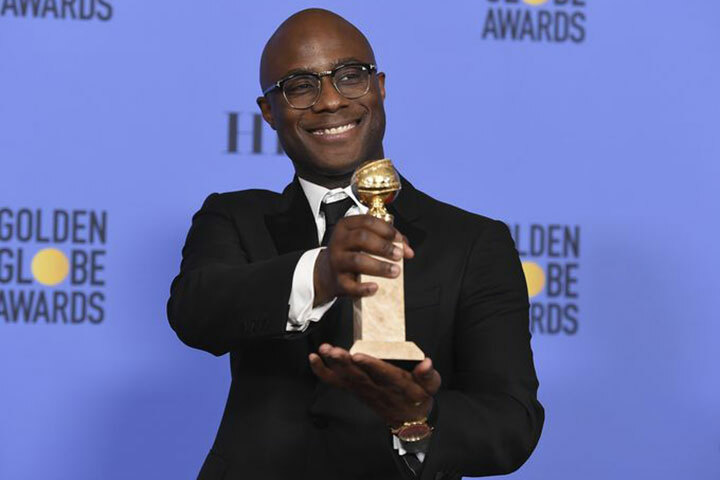 FSU alum Barry Jenkins ('03), director of "Moonlight," at the Golden Globes Jan. 8, 2017. The acclaimed film, “Moonlight,” from Florida State University graduate Barry Jenkins and his crew of FSU Film School alumni, has been nominated for eight Academy Awards, including Best Picture. Five FSU graduates earned Oscar nominations for the project — a first for the Film School. Nominations for the 89th Annual Academy Awards were announced Tuesday morning, Jan. 24. Jenkins, who wrote the screenplay and directed “Moonlight,” was nominated in the Directing category. He shares a nomination for Adapted Screenplay with Tarell Alvin McCraney, who wrote the play “In Moonlight Black Boys Look Blue,” which was the basis for the film. 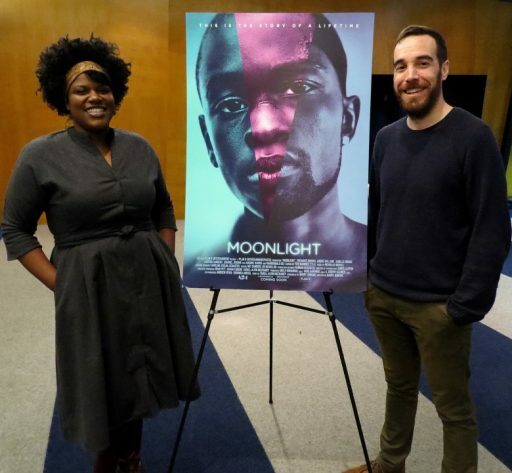 Jenkins worked with a half dozen Florida State graduates on “Moonlight” — Adele Romanski, producer; Andrew Hevia, co-producer; James Laxton, cinematographer; Nat Sanders, editor; Joi McMillon, editor; and actor André Holland. McMillon makes history as the first African-American woman nominated for an Oscar in film editing. Reb Braddock, interim dean of the College of Motion Picture Arts, praised them. Valliere Richard Auzenne, an associate professor who taught each one of the “Moonlight” crew members when they attended FSU, also cheered their recognition. “Moonlight” is a coming-of-age story that follows an African-American boy through his difficult childhood in a drug-plagued Miami neighborhood and into his early adult life. Jenkins has said the film and its characters are similar to what he experienced growing up in Miami’s Liberty City neighborhood. Two other Florida State graduates were honored Tuesday with Oscar nominations for projects they helped lead. Jonathan King, who graduated from FSU in 1992, was executive producer of the film “Deepwater Horizon.” It received nominations for Sound Editing and Visual Effects. Also, Stephen Broussard — a 2003 graduate — was executive producer for “Doctor Strange,” which received a nomination for Visual Effects. Oscars are awarded in 24 categories. A total of 336 feature films from 2016 were eligible for nominations. The 89th Academy Awards are scheduled for Sunday, Feb. 26, 2017, in Hollywood. The ceremony will be televised in the United States on ABC at 7 p.m. EST and also appear in more than 225 countries and territories worldwide.